Check out the latest Breyer Model Horses! You can hoof a house-foal of these new toys! 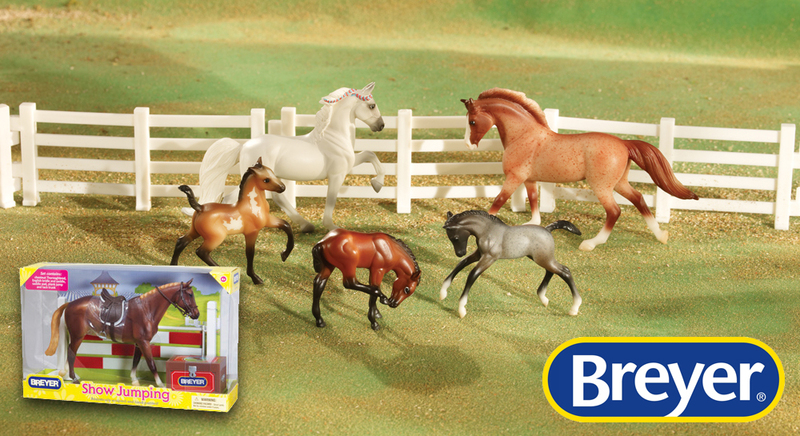 Famous American toy makers Breyer are taking the UK by storm with their Model Horses range! You can own beautiful model horses like Chalkboard and Frankel, the world’s best Thoroughbred racehorse! Care for them in the Red Stable Set or call for the Mobile Vet Clinic if they get poorly! What makes the toys so special is that they’re made by hand and then painted by a team of top artists! That means no two models are the same, making them a fantastic collectible item!